15%OFFSALE *** MissManeater WILD low rise drawcord cheeky bikini pant *** BRAZILIAN cut! SUPER cheeky?!? Then try our MissManeater SUPER low sporty cheeky pant on for size. 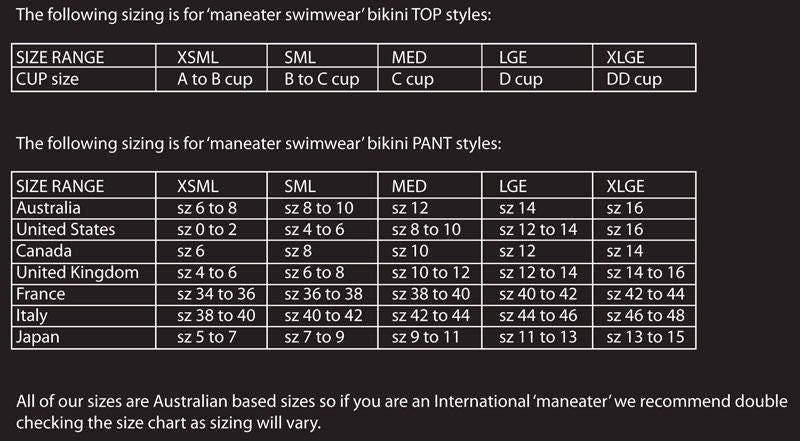 Refer to our FIT GUIDE attached for details on our size SMALL equilivent!